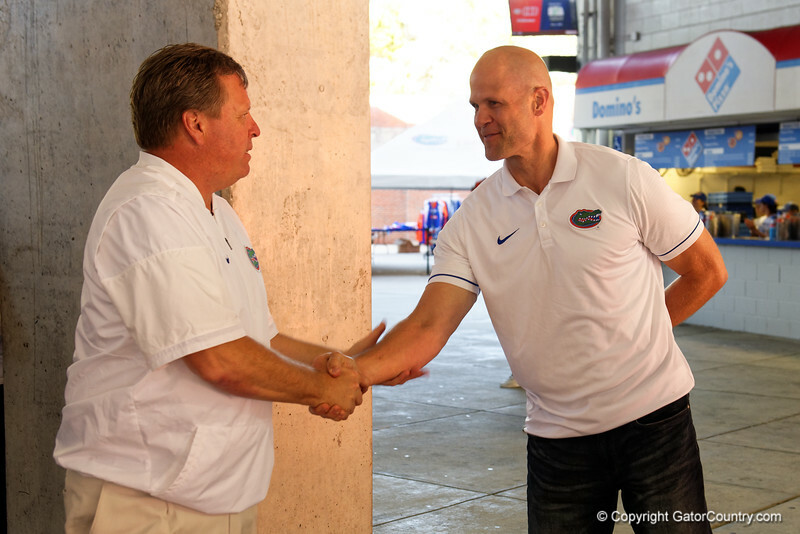 Florida Gators Head Coach Jim McElwain and Florida Gators Hall of Fame quarterback Danny Wuerffel as the Gators walk into and across Steve Suprrier Field at Ben Hill Griffin Stadium during Gator Walk as they prepare for the 2017 Orange and Blue Debut. November 12th, 2016. Gator Country photo by David Bowie.